Culottes are so on-trend and we can’t get enough of these ones from Afternoon Patterns! The Heron culottes are a high-waisted wide leg pair of trousers with a lovely classic silhouette. Make them up in a floaty rayon challis or cool linen for summer or go bold with a more structured fabric to make the most of the volume in the leg. 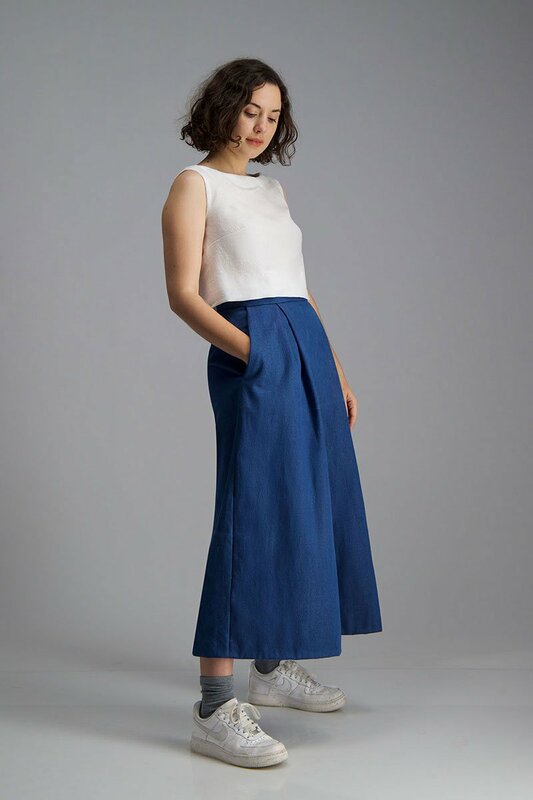 The Heron culottes feature inverted box pleats in front, a deep side seam pocket and button closure on the waistband as is a perfect make for intermediate or confident beginners.